Ray Tian is one half of California's leading trance production duo Reverse. 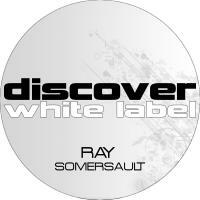 Reverse had a huge release on Vandit earler this year with a track called Absolute Reality and it is clear from Ray's debut solo release with Discover that he is equally capable of delivering the goods working on his own. Somersault is hypnotic, uplifting, melodic and very well produced. Ray is definately one to watch! 'Somersault' is available now from Beatport and iTunes.